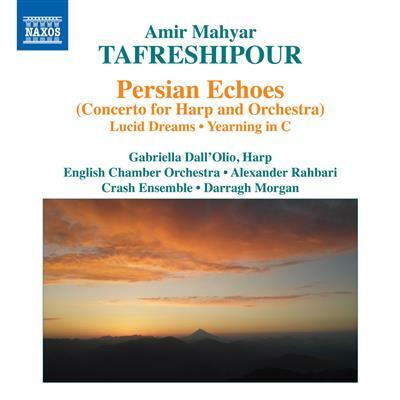 Amir Mahyar Tafreshipour is a leading composer from Iran whose music reaches across time and continents, being at once universal, richly exotic, and filled with the composers own exhilarating joy in creativity. The first ever Iranian harp concerto, Persian Echoes, weaves together Western classical heritage with sounds associated with Persian traditional music, including evocative modes and the lively rhythms of the regions folk music. Improvisation is used compellingly in the rhapsodic Lucid Dreams, the light and darkness of Yearning in C and the vast landscape of Alas.